The Turkish Minister of Environment and Urbanisation on Saturday announced that Turks who buy houses from Turkey’s Public Housing Development Administration (TOKI) will enjoy a 22 percent discount as of March 21, should they pay their remaining debts to the company, Sözcü newspaper reported. 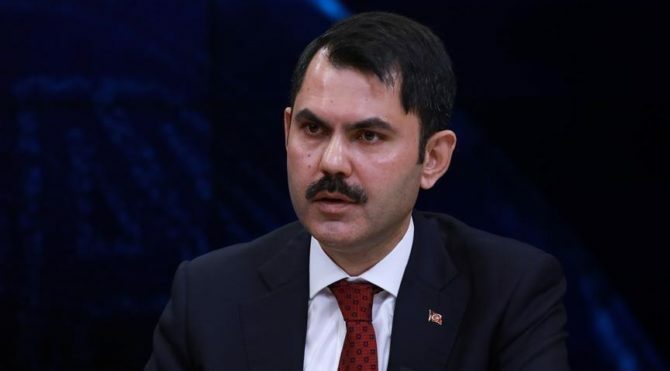 The announcement from Minister Murat Kurum on TOKI’s campaign arrived during an interview with CNN Turk days before the local elections on March 31. “This campaign, that will end on April 19, will allow our citizens to enjoy a 22 percent discount if they pay their outstanding debts,” Sözcü quoted Kurum as saying. Only people who have paid at least 25 percent of their debt to TOKI will be eligible for the discount. “With that opportunity, we want to ease the situation of our citizens that face financial difficulties,” Kurum said. Turkey’s construction industry, once the driving force of the country’s booming economy, has been hit by a hard recession following the collapse in the country’s currency and surging interest rates. Sales of housing and the price of real estate are declining, while Turks face problems in paying back their mortgages. TOKİ’den seçim öncesi yüzde 22 indirim Çevre ve Şehircilik Bakanı Murat Kurum, "Bugüne kadar TOKİ'den ev almış 210 bin vatandaşımızı ilgilendiren süreçte, 21 Mart tarihi itibarıyla vatandaşlarımızın borçlarını kapamalarını müteakip yüzde 22 indirim kampanyasını başlatıyoruz." dedi.